This privately owned ocean front condominium sits on the edge of the cliffs on the north shore providing you with spectacular ocean front views right from the living room window. You can watch whales right from your living room during the day while watching fishing boats and the Coast Guard boats go in and out of the world's smallest harbor. The ocean is right below the window so you truly get the view of a lifetime! At night, sit on the deck while viewing gorgeous sunsets while listening to the sound of fog horns and bells ringing in the distance while listening to the pounding sounds of the ocean filling up the small, secluded beach just below. The condominium is located at the edge of the bay and is within easy walking distance to all the shops and eating places in Depoe Bay. While walking along the ocean side boardwalk you are sure to enjoy witnessing nature at its finest as wave's crash up against the rock and water thunders through the spouting horns spraying water along the path. 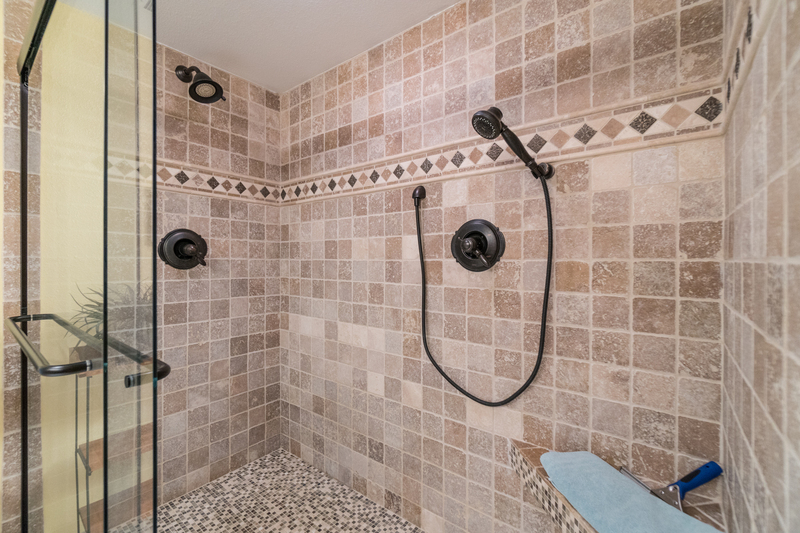 The condominium has two stories; the first level has the master bedroom with a master bathroom with a large shower, and a smaller second bedroom with a bathroom with shower. 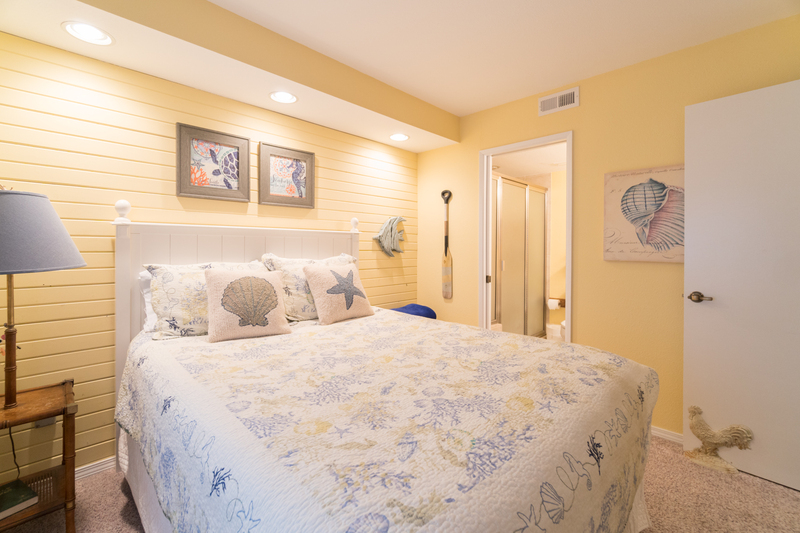 The beautifully decorated master bedroom has a king size bed which has a picturesque ocean view. A bedroom door opens to the outdoors where you will be sure to enjoy watching the wave's crash against the rocks. The second bedroom is beautifully decorated with a comfortable queen size bed. Both bathrooms are stocked with lots of towels. The second level has the living room area, kitchen, 1/2 bathroom, and full-size washer and dryer. The living room has ample seating for seven with a hide-a-bed, a flat screen TV, DVD, WIFI and a gas fireplace to keep you warm during the winter months. 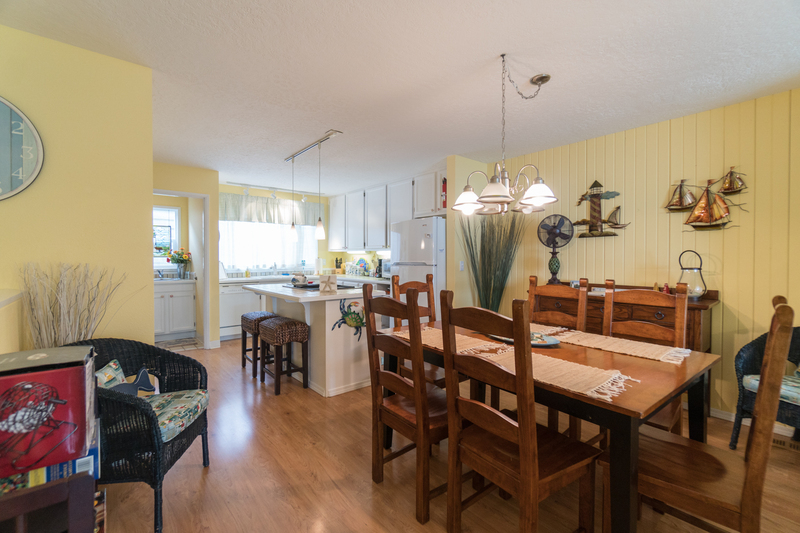 The dining area has a table with seating for six and a kitchen stocked with cooking and eating utensils, a Jen-Air range, dishwasher and microwave. You have all you need to cook a delicious Thanksgiving dinner here! The Admiral 1 is approximately 1,400 square feet and is a well-cared for, clean unit with modern decorations and has all the amenities of home. A single car garage is included. This is truly your home-away-from-home. Beach Access: From the condo you will have to drive to the nearest beach access which will be going North on Highway 101 to a State Park called Fogarty Creek State Recreation Area. "GREAT STAY! GREAT CONDO! GREAT MANAGEMENT!" "Thank you for taking the time to leave us a review, Paul. We are pleased to hear that you enjoyed your stay with us. We look forward to having you back with us soon! Melissa"
"Great vacation rental! Clean and modern. Great location too..."
"Hello Richard, Thank you for your review. We are glad to hear that you had a great stay at Admiral 1. We hope to see you back soon!" "Very much enjoyed our stay. Dont have to leave to see and view the ocean and waves." "Hello Rosanne, Thank you for your review. We are glad to see that you enjoyed your time at Admiral 1! It is a lovely condo right on the water in Depoe Bay! We hope to see you back again soon." Admiral 1 is the BEST! "There wasn't anything we didn't like about our recent stay. Decorated top notch, clean and comfortable, unbelievable location and views, within walking distance to delicious restaurants. If there was anything I could mention, we are all senior citizens and if the stairs had a railing you could get your hand around, not the wide piece of board, we would have all felt more comfortable for our safety going up and down the stairs. Unfortunately, this might be a deal breaker to return to Admiral 1 for a couple of our family members. With that one thing changed, we would all be back for sure, just a safety issue." "Hello Howard, Thank you for your review. We are glad to hear that you enjoyed your stay at Admiral 1. We are happy that you and your family were able to enjoy the beautiful views from this home. We will look into this issue with the railing. Thank you for bringing it to our attention. We hope to have you stay with us again in the future." "Amazing weekend, beautiful views & very well decorated . We will recommend to all our friends"
"Hello Gabe, Thank you for your review. We are glad to see that you enjoyed your stay at Admiral 1! 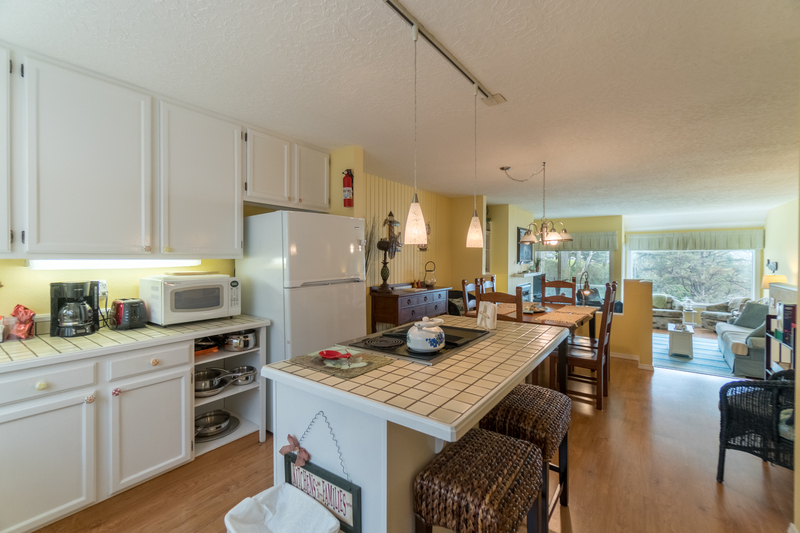 This is a lovely unit in Depoe Bay with a great view of the Pacific! Thank you for recommending us! 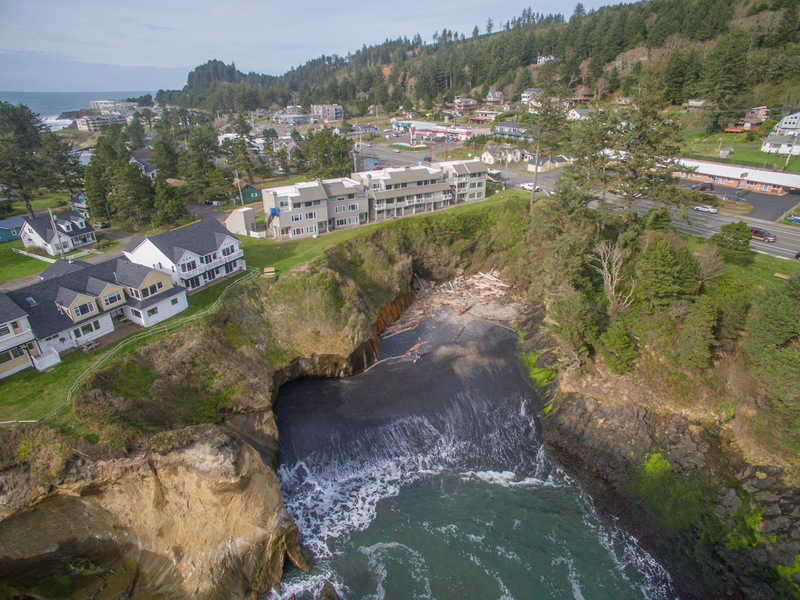 We hope to have you stay with us again soon on the Oregon coast! Thank you again for your review." "Excellent choice for an Oregon Coast vacation. The view from the living room is spectacular. " "Hello Ann, Thank you for your review. We are glad to see that you enjoyed your stay at Admiral 1. We hope to have you back again soon!" "The condo was so comfortable, well furnished, decorated and equipped. The view is fabulous! We would definitely go back!" "Hello Clara, Thank you for your review. We are glad to hear that you enjoyed your stay at Admiral 1. We are happy you found the unit cozy and comfortable. We look forward to having you stay with us again in the future!" Birthday gift for our grandson. "Our grandson brought his fiancé to see Oregon and especially the coast. Our condo has a great view of the rugged Oregon coast, we saw lots of whales and did a bunch of local site seeing. Had a great time, very comfortable place to stay." "Hello Fred, Thank you for your review. We are glad to see that you had a great time at Admiral 1! It sounds like you all had a great time visiting the Oregon coast. We hope to have you stay with us again soon!" Comfortable with great whale watching! 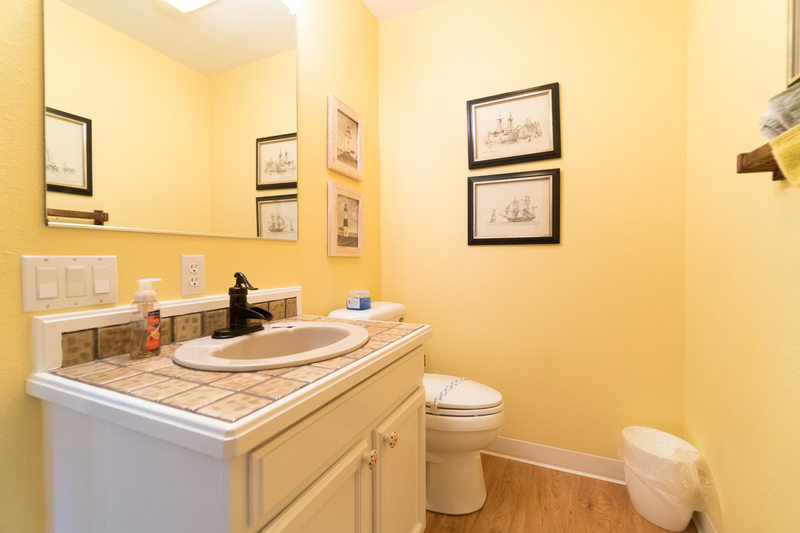 "Location was great, the townhouse was comfortable and had everything we needed. The best part? Whale watching from the front window. Bring binoculars or a spotting scope for even better watching! Lots of space, comfortable bedding and a fabulous shower. Plus, a short walk to restaurants and shops, and Lincoln City and Newport not too far away." "Hello Todd, Thank you for your review. We are glad to hear that you enjoyed your stay at Admiral 1. 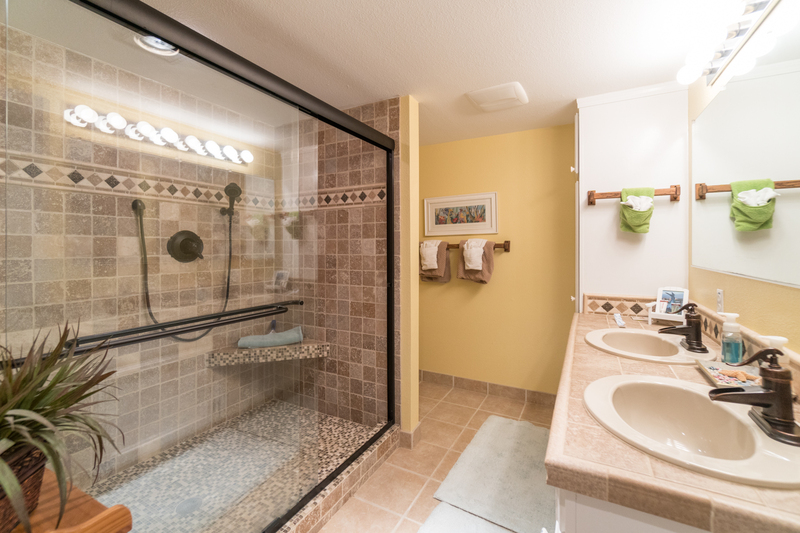 It sounds like this unit was perfect for everything you wanted to do and you were able to see a lot while staying in Depoe Bay. We hope to have you stay with us again in the near future!" "This place had great space for our family. Everything was clean and the beds were comfortable. Very nice to have magazine with activity suggestions and games to play in the kitchen. It worked out very well for what we needed. We would definitely stay again." "Hello Kari, Thank you for your review. We are glad to see that you enjoyed your stay at Admiral 1. We are glad the unit was everything you were expecting and then some! We can't wait to host you again soon on the Oregon coast. Thank you again for your review!" "We enjoyed our stay in this condo. The condo was very clean with a very well stocked kitchen. My son enjoyed the board games. My husband and I enjoyed the amazing view and watching the whales from our window and deck. We would love to stay here again!" "Hello Angela, Thank you for your review. We are glad to hear that you enjoyed your stay at Admiral 1. We are happy to know that you were able to see the whales during your stay. We look forward to seeing you again soon on the Oregon coast!" "Hello Jeff, Thank you for your review. We are glad to see that you enjoyed your stay at Admiral 1, and we hope to see you again soon on the Oregon coast! Thank you again for your review!" "The property was exactly as advertised! We thoroughly enjoyed our time in Depoe Bay, the condo was perfect for what we needed. The view of the ocean was fabulous. The condo was very clean and very well maintained. We would stay here again without hesitation and will recommend it to others." "Thank you Mr. Fullmer for your review. We are very pleased to hear you enjoyed your visit to Admiral 1 and found the unit to be clean and well maintained. 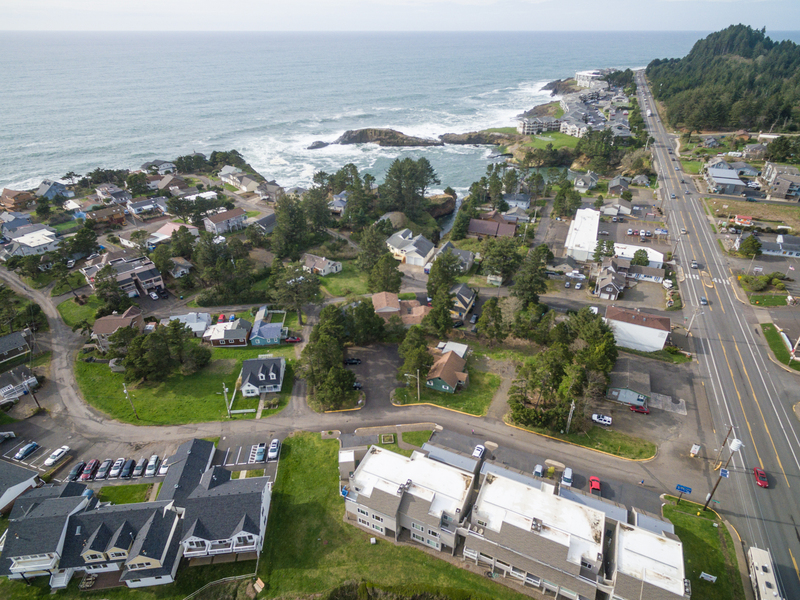 You can't go wrong with the incredible view from the unit and the coastline at Depoe Bay can't be beat for watching the beautiful Pacific. " 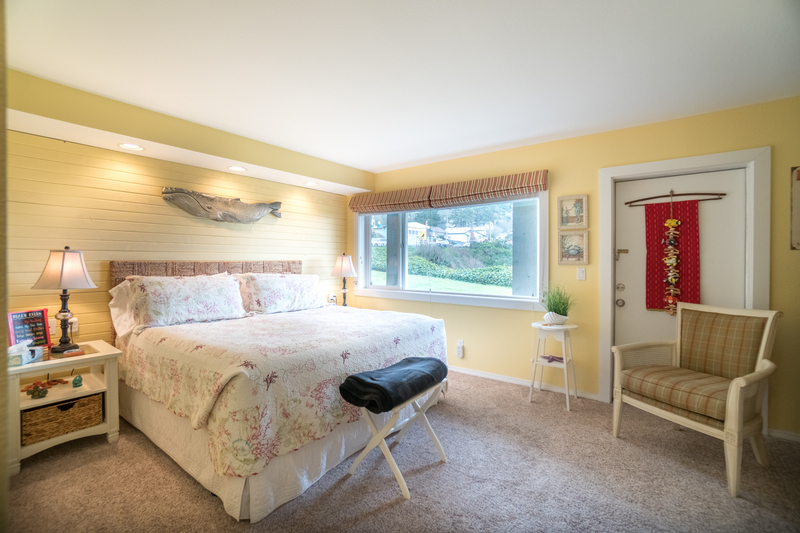 "Admiral 1 at Depoe Bay is a lovely, well maintained condo located at the entrance of Depoe Bay. My mom and my two daughters enjoyed a girls weekend celebrating mom's 80th birthday! We found the home to be warm and cozy and beautifully decorated. The kitchen is very well supplied if you want to do your own cooking." "Hello Kathy, Thank you for taking time to send in your review. We are pleased to hear you enjoyed your visit to Admiral 1, what a great location to celebrate your Mother's 80th birthday. Hope wonderful memories were made that you can talk about for years to come. Again, thank you and Happy Holidays ~ "
"The view is amazing, very comfortable place. It is a nice little walk to shopping and dining. " "Hello Traci, Thank you for your review. We are glad to see that you enjoyed your stay at Admiral 1 in Depoe Bay! This unit definitely offers a beautiful view of the bay and Pacific, and with everything within walking distance, driving isn't necessary to enjoy your time here! Thank you again for your review, and we hope to see you back again soon on the Oregon coast!" 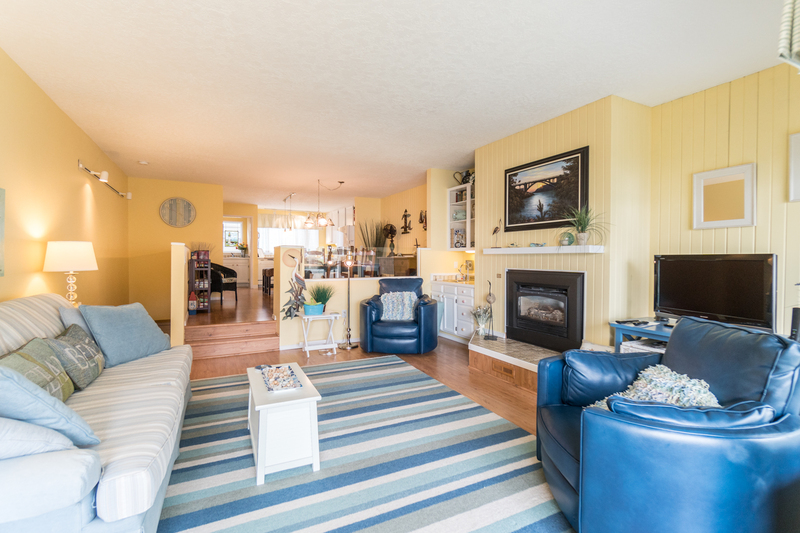 "A beautifully appointed town house with a view of the bay allows for whale watching from the deck or the living room. It is within walking distance to shops and restaurants. A special vacation." "Hello Suzanne, Thank you for your review. We are glad to hear that you had a wonderful stay at Admiral 1. We hope that you'll be back again in the near future to stay with us again!" "Made my husband a whale watching believer from the views out the window." "Hello Lourdes, Thank you for your review. We are glad to hear that you enjoyed your stay at Admiral 1! We are glad you were able to see whales right from the window! We hope to have you stay with us again soon on the Oregon coast." "Everything I could have asked for in a home on the coast. I really appreciate the fact that we did not have to talk to someone and just enjoyed our stay. We will be back"
"Hello Tina, Thank you for your review. We are glad to hear that you had a wonderful visit to Admiral 1. We look forward to having you back again soon." "We have stayed in Depoe Bay several times. This was the first time in this unit. It was beautifully decorated and immaculately clean. Use of the garage was a many seagulls in the area. We loved this unit and look forward to returning." "Hello Richard, Thank you for your review. We are glad to see that you enjoyed your stay at Admiral 1! We are happy to know that the unit was clean and within a great viewing distance for your needs. We look forward to having you stay with us again soon on the Oregon coast." "We thought the condo was very home feeling , very CleanOne conplaint was the worth less TV in master bed room so small you needed telescope to watch. It cheapen the whole unit, better not had a tv. Also the construction next door was right next door and very ard to enjoy time during the day, no way wuld I rent next construction with all That noise 10mft away and hitting our bedroom wall with wood and scafling. Otherwise we loved the place "
"Hello Roy, Thank you for your review. We are glad to know that you enjoyed Admiral 1 for the view and homey feeling. We are sorry to hear that the construction going on next door put a bit of a damper on your vacation, but we hope that you were able to get out and enjoy the beautiful weather we had during your stay. We hope to have you stay with us again." "We loved our stay at Admiral 1. This house is one of the nicest places we've stayed in on the coast. the whales were in the harbor the entire time and we had a great view from the living room windows. " "Hello Peggy, Thank you for your review. We are glad to hear that you enjoyed your stay at Admiral 1. It sounds like you had a wonderful vacation away! We hope to have you stay with us again soon!" "My husband and I needed a winter get away from snow vacation and we found this jewel of a condo to rent for five nights. First of all, I am a cleanness freak and upon stepping into the Admiral 1 I could tell that this condo has an exceptional cleaning service. The owners have also done a wonderful job of decorating and making one feel very “at home” and comfy! Since I was in a non weight bearing walking boot and crutches and, thus, could not walk and explore the coastal beauty, I could sit in the living room or the upper level deck, and enjoy wave watching. 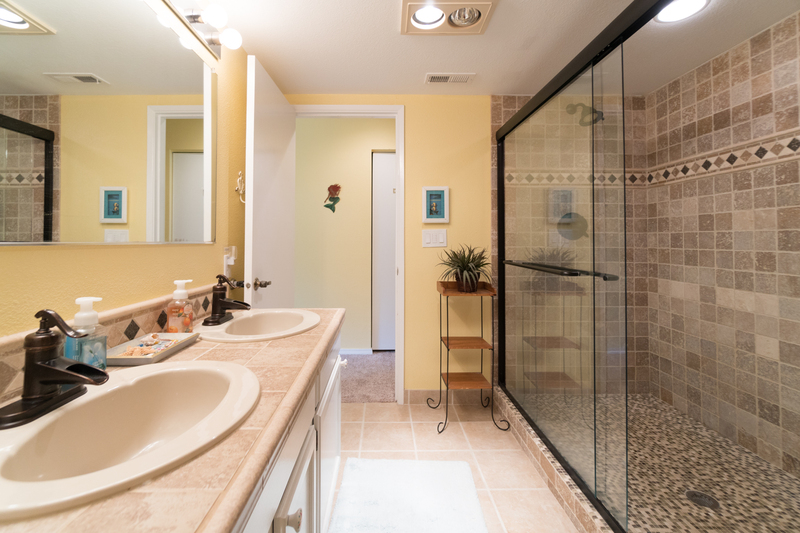 The master bathroom was a dream with walk-in tiled shower and large sink area. The king bed was very comfy. All in all our stay was perfect and, thus, we will be back." "Hello Betty Ann, Thank you for your review. We are so happy to know how great your stay was at Admiral 1. We are sorry to hear that you weren't able to enjoy the outdoors but that you were able to get a taste of it through the windows and deck of Admiral 1. It definitely makes you feel like you're right there in the action. We hope that you are feeling better, and we look forward to having you stay with us again soon!" "Nicely furnished condo overlooking a bay - great for whale watching. Nice neighborhood with great overlook a short walk away. Very good restaurant a short walk up the road. Only drawback was condo is situated close to the road, so traffic noise was an issue when sitting on the deck." "Hello Paula, Thank you for your review. We are glad to see that you enjoyed your time at Admiral 1. This condo certainly offers amazing views of the Pacific ocean! We hope to see you back again soon on the Oregon coast for another wonderful getaway. Thank you again for your review." You won’t regret staying here! "The Admiral 1 exceeds all expectations. Kitchen is fully stocked, games are provided, movies, and the most comfortable beds! We will definitely stay here again. The view is amazing, we saw whales from the living room!" "Hello Misty, Thank you for your review. We are happy to see that you had a wonderful visit to Admiral 1. We are glad that the unit had everything you needed to enjoy a relaxing vacation away. We look forward to having you stay with us again in the future!" "lovely condo felt like home furnishings and everything in condo was very well taken care of quality bedding etc.Perfect vacation spot and immaculate in every way." "Hello Norma, Thank you for your review. We are so glad that you enjoyed your stay at Admiral 1. We hope that means that you'll be back again soon to stay with us! Thank you again for your review!" "It was wonderful, Enjoy it very much.One small issue- could not find the laundry soap "
"Hello Chaim, Thank you for your review. We are glad to hear that you enjoyed your stay at Admiral 1. We are sorry to hear that you couldn't find the laundry soap. Please give us a call at our office if something like this should happen while staying at one of our rentals so that we can bring more out to you. We hope to have you stay with us again in the future." "To celebrate our new year and my birthday three couples stayed comfortably. We explored the tide pool at the bottom of the cliff during low tide. Enjoyed the sunsets and crashing waives. Playing games long in to the night. So much fun!" "Hello Scottie, Thank you for your review! We are so happy to hear that you and your guests had an amazing time at Admiral 1 and were able to take home some great memories! We hope you'll be back again soon. Thank you again for your review." "The first thing we noticed were whales spotted directly from the living room window!" "Hello Mary, Thank you for your review. We are glad to see that you enjoyed your stay at Admiral 1! That's very cool that you were able to see whales on the very first day of your stay! We hope to have you back again soon!" "Very well equipped, decorated beautifully. Gorgeous view! Very close to Hwy 101. Upon arrival we found the kitchen to be very dirty. Crumbs on the counters, filthy refrigerator and dishwasher full of dirty dishes (there was no soap). Dirty dishes also in oven. The rest of the unit seemed clean enough. Fireplace did not work, so we had a repairman during breakfast. This was all disappointing given the fact that the cleaning fees always seem to be high (we stay in owner rentals quite a bit). The property management was on all of the problems quickly but they shouldn't have had to be. " "Hello Debra, Thank you for your review. We are glad that you enjoyed your stay at Admiral 1 due to the beautiful view and decorations inside. We are sad to hear that you arrived to a dirty unit though, but we are glad that management was able to quickly resolve these issues for you. We hope that you otherwise enjoyed your stay, and hope to see you again soon on the Oregon coast! Thank you again for your review." "Not enough toilet paper for a week stay; shortage of hand towels in bathroom." "Hello Clarence, Thank you for your review. We are glad to see that you enjoyed your overall stay at Admiral 1. As for the toilet paper issue, we only provide a starter pack of supplies for each of our units. This starter pack is comparable to what our competitor's offer. On our website, we now inform our customers that we only provide a starter pack of supplies, and even include exactly what it comes with for your stay. We would have happily brought out more toilet paper and hand towels though had we been made aware of this problem. Our office is on call 24/7 to help resolve issues such as these. Thank you again for your review, and we hope to have you stay with us again soon on the Oregon coast." "it was nice. the condo was nice EXCEPT for the 2nd bdrm/bath. Shower was not as clean as it should have been and a crushed water bottle was left in bdrm. Carpets need replaced"
"Hello Marann, Thank you for your review. We are sorry to see that you did not have a wonderful stay at Admiral 1. We are sorry to hear that you encountered a few cleaning issues as well. We would have loved to send housekeeping out to resolve these problems for you during your stay. Thank you for your suggestions as well. We hope to have you stay with us again soon in the near future. Thank you again for your review."